Hey Valve, when is the next Dota 2 patch due? There’s no denying it – I love Dota 2. The last balance patch though, 6.83 (the shifting snows update), which was released towards the end of December last year, has left me cold. I’ve been playing my favourite MOBA far less. Now, I don’t think this is due exclusively to that particular patch, but it does seem to be around the time when things started getting a little boring, at least for me anyways. I feel that the current meta is “stale”, and I don’t think I am alone in feeling this way. Is it not yet time for the next big gameplay change that will keep things fresh? I’ve noticed that tons of my friends have sort of just stopped playing since 6.83. A lot of people complained about the rubberband mechanics, or the stale meta, and I think that happens every patch. However what I’ve noticed is a huge non-vocal group of players just kind of got bored of the game. I think it has to with the fact it’s extremely hard for a good player to snowball hard and carry a game unless you’re playing troll / jugg / storm / etc. I’ve noticed that if you snowball hard early, unless you can push high ground solo, there’s really not much you can do. It’s extremely difficult to play an effective ganker mid or support in pubs. I think this led to more boring pub games, and myself included, have slowly just lost interest in the game. I think that the patch is worse than people think- not because of the complaints, but because of the lack of them. I think a lot of people have just gotten bored and moved on. I would be really interested to see how many players with accounts over a year old have dropped off from playing compared to a similar timespan rolling over the past 2 years. Reading through the comments has yielded some interesting responses. 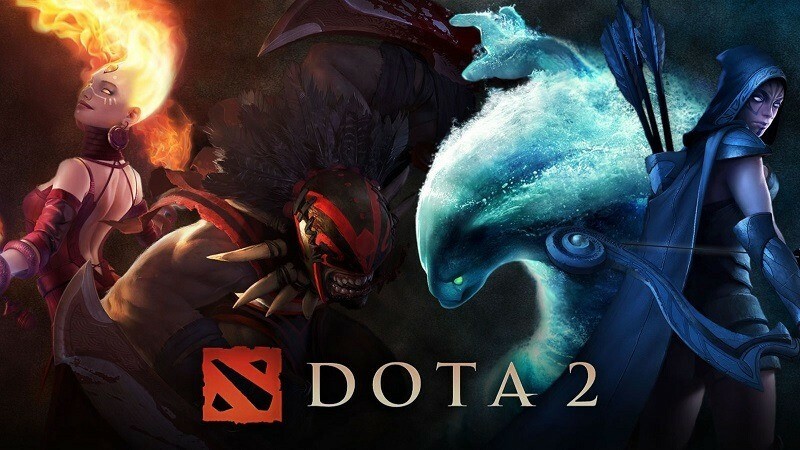 Surprisingly, many people agree that they and their friends have grown distant to Dota 2. Some even go so far as to post their Dotabuff pages, showing how their activity has dipped a lot over the past few months. Here’s an example. A larger dot represents a higher frequency of played games on that particular day. See how this gamer has a very full Dota 2 schedule? It tapers off noticeably around August last year. Why, he or she has only played 9 games over the past 3 months. My own activity sheet is showing some cracks, especially over the last few weeks. Why though? I feel it has a lot to do with this “stale” meta. I cannot tell you how much I’ve grown to resent playing pub games. I accept invites reluctantly most of the time now – instantly regretting my decision over an hour later when the game has developed into a farmfest where nothing actually happens until right at the end. Most games culminate into one decisive fight which determines whether you win the game or not. I honestly think I’ve played more 70+ minute long games in the last 4 months than I have in my entire time playing Dota 2 before that (that’s almost 2.5 years now). Every role seems to grind to a dull existence past the 15 minute mark. Supporting for example boils down to warding and doing little past that, because team fights aren’t happening nearly as frequently as they used to. Cores spend most of their time split-pushing non-stop, or farming in the jungle forever. I seriously miss the last meta which felt more like it was all about pushing. Games were done within 40 minutes more often than not, and that time was filled with frantic activity – whether it be pushing down a tower, sneaking a Rosh, or engaging in epic team fights. I don’t know what Valve (or IceFrog) can do to remedy this current situation, but I do feel that a huge balance patch is long overdue. Maybe they are hard at work on an engine change, or the remaining heroes that need porting from the original Warcraft III mod. Whatever it is, I hope they release it soon. Knowing the Dota 2 community, there is a very high chance that many of you will disagree wholeheartedly with what I have said. That’s fine, I expect it because I know each one of us plays the game differently, or enjoy specific aspects which this meta may highlight. I genuinely am interested to hear your opinion, so please feel free to let lose in the comments below. Are you still enjoying this meta, or have you, like myself, moved your attention to other games?